Samantha looks lovely in these photos from an event. There can be no denying that this is a terrific phase for the cute and bubbly Samantha Akkineni. This October, she tied the knot with her sweetheart and popular young star Akkineni Naga Chaitanya and began a new chapter in life. The two got married on October 6 according to Hindu traditions in a memorable ceremony. Thereafter, the two walked down the aisle and tied the knot as per Christian traditions. 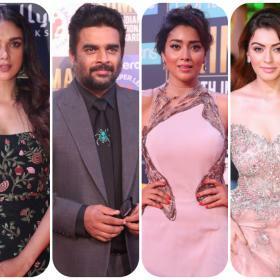 A few days after her big day, Sam received more good news when her ‘Raju Gari Gadhi 2’ opened to a good response at the box office and earned rave reviews along the way. In it, she was seen alongside her FIL Nagarjuna and made an impact with her performance. Talking about the film’s success, she had said that her character was dedicated to those who suffered courtesy the ‘Suchi Leaks’ scandal. “He has a great command over his craft, and it’s very endearing to see that kind of positivity and confidence. I believe that’s also a reason why someone as experienced as Vijay, who has worked with the biggest of names in the industry, came back to Atlee for a second time (after Theri) because there’s some magic in this man. I think he’s going to strike gold again in his own style. Mersal is like a complete showreel for Vijay,” she had told a leading website. Now, Sam is in the limelight again and that too for an awesome reason. As it so happens, the lovely lady was recently spotted at an event. And, not surprisingly, she looked a million bucks. Sporting a casual yet stylish number, she looked stunning and made quite an impact! Her confident body language gelled quite well with her latest avatar and upped its recall value in a big way. She truly is a scene stealer! On the work front, Sam will soon be seen in ‘Irumbu Thirai’. The film has been directed by PS Mithran and will see her share screen space with Vishal. Recently, the director had said that Sam plays a ‘crucial’ in the film. Besides ‘Irumbu Thirai’, she also has ‘Rangasthalam’ in her kitty. It is a Sukumar directorial and will see her share screen space with Ram Charan for the first time in her career. On the personal side of things, Samantha and Chai are currently gearing up to celebrate their first Christmas as a married couple. 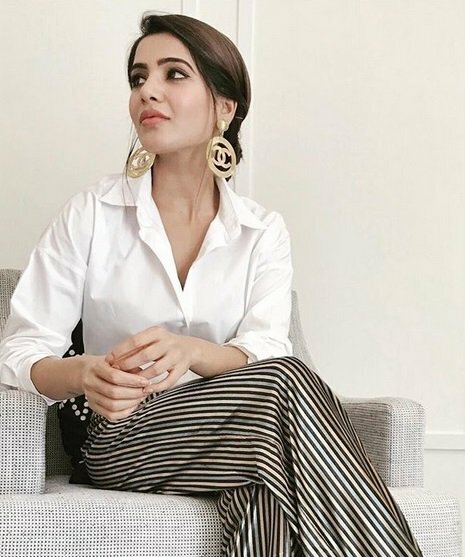 So, did you like these photos of Samantha Akkineni? Comments, please! Plastic Lady…what is so beautiful in that artifical face?